I have to admit I may have squealed when this box came through my letterbox. The autumn print is adorable and it made me want to cuddle up with some hot chocolate whilst I nibbled away. As this was my first box included were two £5 gift vouchers for friends which I thought was really cute and I might add them to a couple of Christmas presents if they're still valid when the time comes. 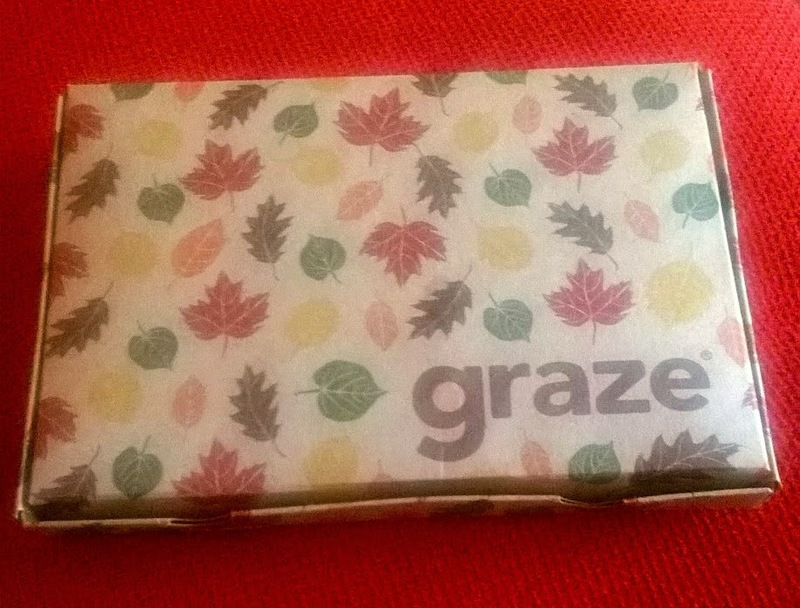 There is also a cute little booklet with lots of information on Graze and what they do along with nutrition information for your snacks. On to the food! 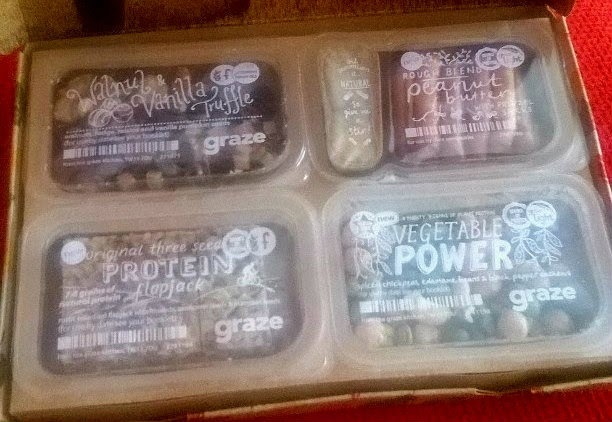 When you go on the Graze website you can choose which snacks you wish to be sent soon and which snacks you would like to "bin" for any reason. I binned the two meat options as I'm a vegetarian and added loads to my send soon list. I have to admit, I wasn't as keen on the Vegetable Power as I thought I might have been but I absolutely loved everything else. The Walnut & Vanilla Truffle was to die for. Each packet also has a little icon for what nutritional qualities the food possesses which I thought was a nice addition. 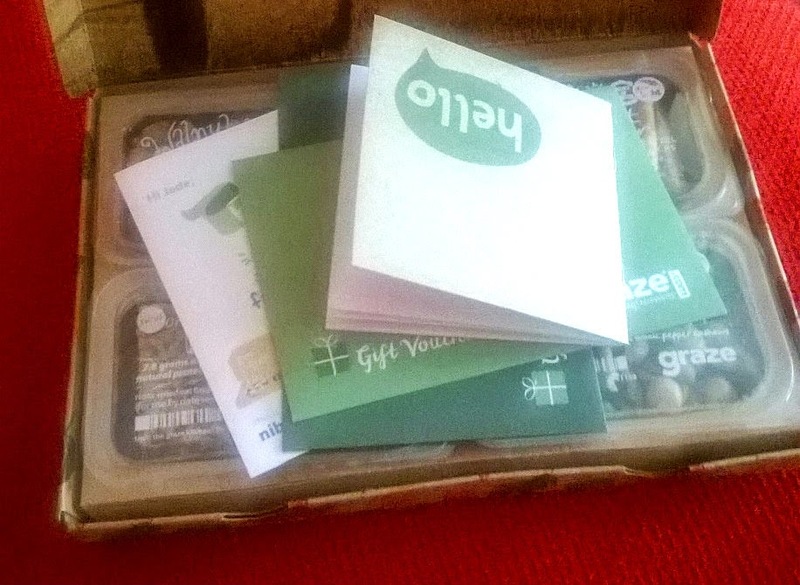 Overall I absolutely loved my nibblebox but I would have loved a bit more power over which snacks I would be getting.